Note: this summary has been translated by a fan, and is therefore unofficial. Running into a roadblock while programming a virus for the Cortex, Jeremy decides to call Laura, the school's new genius, who's passionate about quantum physics. It's a success, Laura allows Jeremy to finish the virus. As unanimously decided earlier, our heroes then launch a return to the past to erase all of Laura's memories about Lyoko. Then, they go to test their virus on the Cortex. However, the return to the past didn't work, Laura has flashbacks and ends up remembering everything! Our heroes find themselves obliged to let her into the group. Also, this adventure allows our heroes to discover that the Cortex isn't an exact replica of Lyoko, rendering the virus inoperable and needing to be updated, and even more new creatures make their appearance in the Core of the Cortex: Ninjas! The heroes go on the offensive! 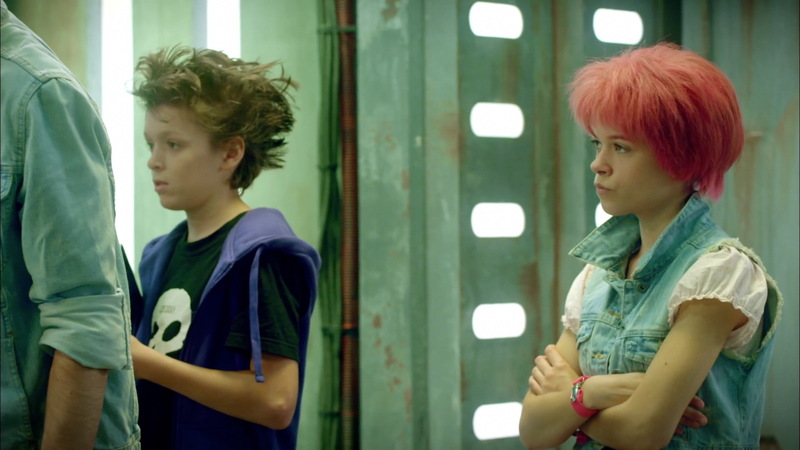 Jeremy tests a virus with Aelita. While the brainiac is at the controls on Earth, Aelita tests it in person on Lyoko. She and Jeremy develop a virus capable of penetrating the Core of the Cortex and destroying it, along with XANA’s access to the network…and its ability to launch attacks. Jeremy and Aelita test a blank version of the virus on Lyoko, incapable of damage. 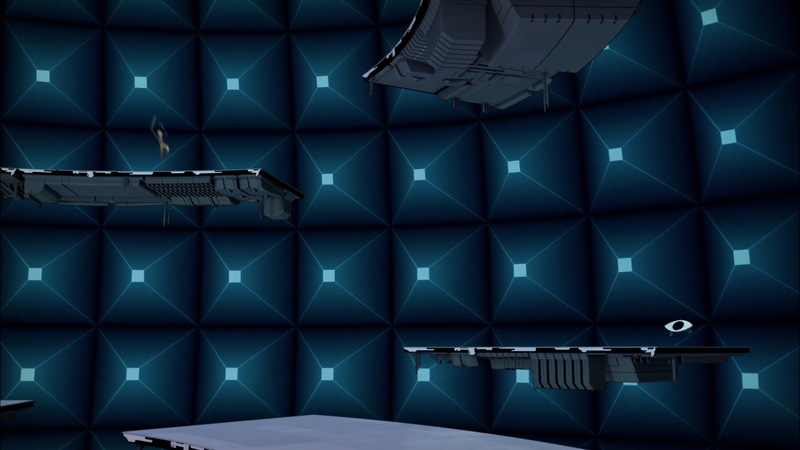 The Supercomputer generating the Cortex was based on Lyoko’s model, so it’s logical that if the virus works on Lyoko, it’ll work on the Cortex. Unfortunately, the blank version of the virus fails. It reaches the Core and is destroyed. Jeremy runs into a block. He makes a proposition that not everyone likes: ask for Laura’s help, the new student in their class who has already proven her advanced knowledge in computing. Jeremy proposes using her to finish the virus and then launch a return to the past to erase her memory and get her off their backs. But the heroes are reluctant, because using Laura like that isn’t very moral. But they end up backing Jeremy up because he says he has no way of finishing the virus alone. The heroes go to find Laura in the library. Odd steals her tablet to get her to follow them to the factory, which she does. Trapped in the lift, she winds up in Jeremy’s lab, flabbergasted and impressed. Briefed by Belpois, she accepts to help them with the virus if they agree to explain everything to her afterwards. 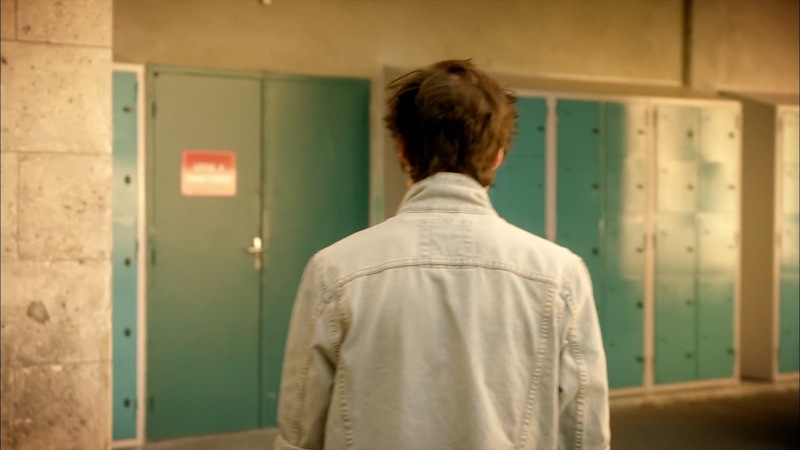 Jeremy avoids the subject and leads Laura to the terminal. She sets to work with disconcerting speed. After a day of work, the virus is ready, tested on Lyoko and functional. Laura then asks Jeremy if he will use a jump back in time. The heroes are embarrassed: Laura understood by reading lines of code on the Supercomputer relating to the function. Pushed by Aelita, Jeremy launches the command while Laura shoots him an icy stare. Returning to that afternoon, everything is back to normal: Laura remembers nothing. The heroes leave for the factory immediately to return to the Cortex and infect it with the virus. Only William stays because he has tutoring. He agrees to meet up with them later. Unfortunately, Laura begins to have flashbacks and wanders around Kadic in search of answers. 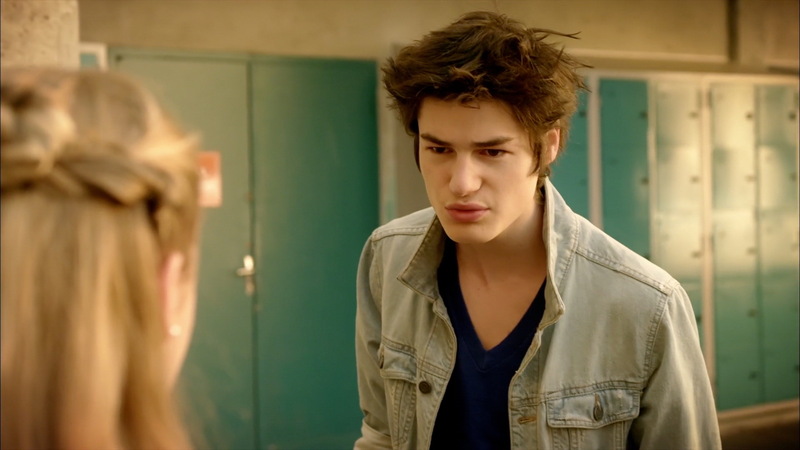 While the heroes leave in the Skid and traverse the Network towards the Cortex, Laura asks William worrying questions. After she leaves he warns Jeremy. Aelita is devirtualised to help Jeremy find the problem with the RTTP. While Laura gets closer to the secret passage in the park with William on her heels, Aelita discovers the Trojan horse. She inserted some lines of code into the virus to tamper with the return to the past. Being tested directly on the Core of Lyoko, the program had rendered Laura invulnerable to the return trips. Odd is at the controls of the Megapod. More accustomed to it than Yumi, he crosses the Cortex without trouble. 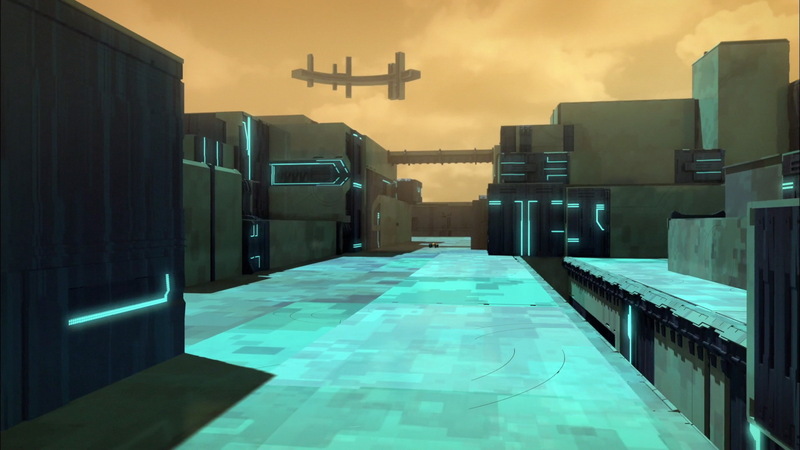 Arriving in front of the Dome, the heroes are confronted by the Cortex’ defence system. A platform turns and Odd falls towards the Digital Sea. Jeremy needs to devirtualise him. However, the movement opens the Iris: Yumi and Ulrich enter the Dome. At the same time, Laura enters the lab with William, who could to nothing to stop her. The atmosphere is icy between her and Aelita. The young Gauthier is curt: the Lyoko Warriors wanted to take advantage of her skills, and she’d simply defended herself. However, an interruption occurs in the background: Ulrich and Yumi make it to the terminal and Jeremy sends the virus. A firewall blocks the program and an alarm sounds. At the factory terminal, Jeremy detects hostiles. In the Cortex, Ulrich and Yumi don’t see anything but hear suspicious noises. A new creature appears: the Ninja. This virtual entity is of humanoid form and holds twin blades, capable of travelling through solid objects. Looming behind Yumi, one of them devirtualises her. Ulrich tries to confront them. He charges, but is knocked down and devirtualised by a single Ninja. Severe setbacks. At the lab, the results are difficult to digest: the virus didn’t work. 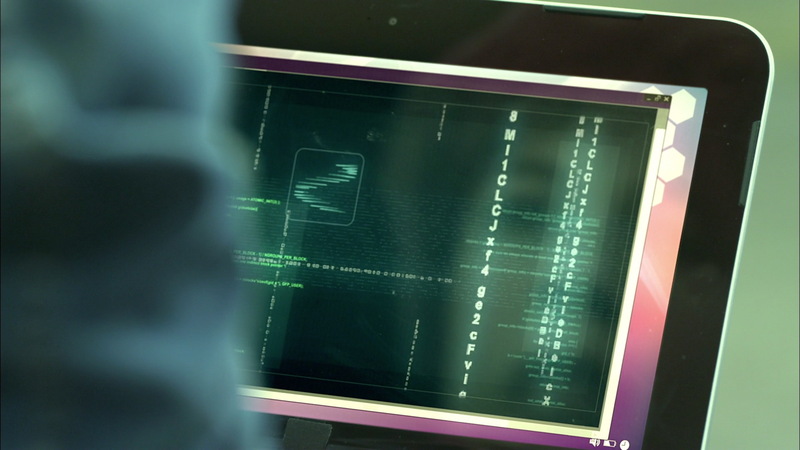 With this and the appearance of the Ninjas, Laura finds it evident that the Supercomputer generating the Cortex has undergone alterations. Therefore, the tests on Lyoko can’t affirm the success of any virus on the Cortex. In their room, the heroes discuss Laura…but the whole thing happened too quickly. With the teen now knowing, they can’t get rid of her. They then decide to tell her as little as possible and to only include her when she’s really needed. The episode ends with Laura entering Jeremy’s room with a satisfied look on her face. - New creatures protect the Core of the Cortex. They're Ninjas. 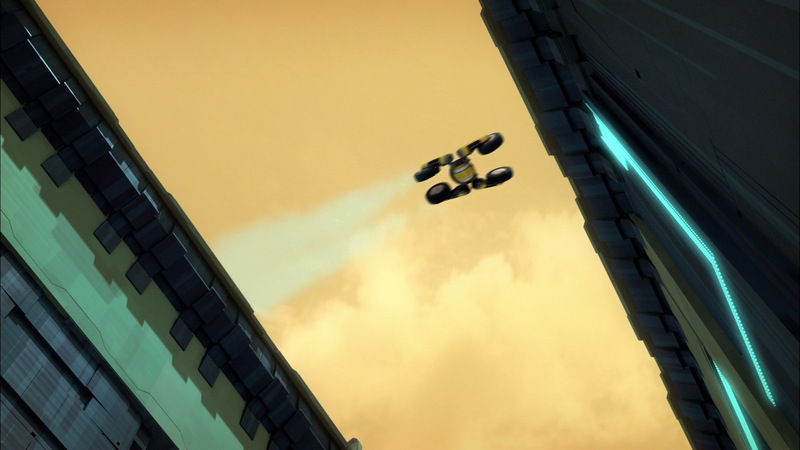 They're armed with short twin blades and can travel through walls. - While built on Hopper's Supercomputer model, the Supercomputer generating the Cortex has been modified by its mysterious creator and isn't entirely similar to its predecessor. - Laura forces the Lyoko Warrior to accept her. In fact, by modifying the Return to the Past progra, she became immune to its effects and stays in the know about the secret. - First episode of Evolution opening on a character already virtualised (Aelita). - First appearance of the Celestial Dome and its interface in Evolution. 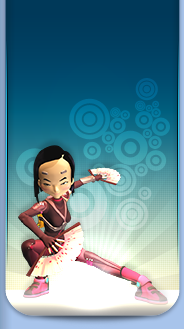 Also the first appearance of the Core of Lyoko. It's represented differently to in the original series. Also, Aelita enters the Core Zone not via the Celestial Dome and the South Pole, but by using a lift, proof of the conceptual modifications to Sector Five made by the two directors of Code Lyoko Evolution. - Second episode in which Laura discovers the factory along with episode 4 “Miss Einstein”. - Many people have spotted the similarities between the virus programmed by Jeremy and the multi-agent program from episode 94 “Fight to the Finish”. - Other similarities have been noticed between the cases of Laura and William in terms of resistance to the memory-erasing effect of the Return to the Past. However, they're still very different cases as Laura modified the program to preserve her memories, which came back to her as flashbacks… William remembered the events like a dream…something to do with his subconscious. Note: these quotes have been translated by a fan, and are therefore unofficial. Ulrich: I'm not really sure what to tell her. Jeremy: Yes but we're going to avoid that. We want to get her to follow us to the lab, not to make her cry. Ulrich: The problem is that we're not controlling all our actions at the moment. 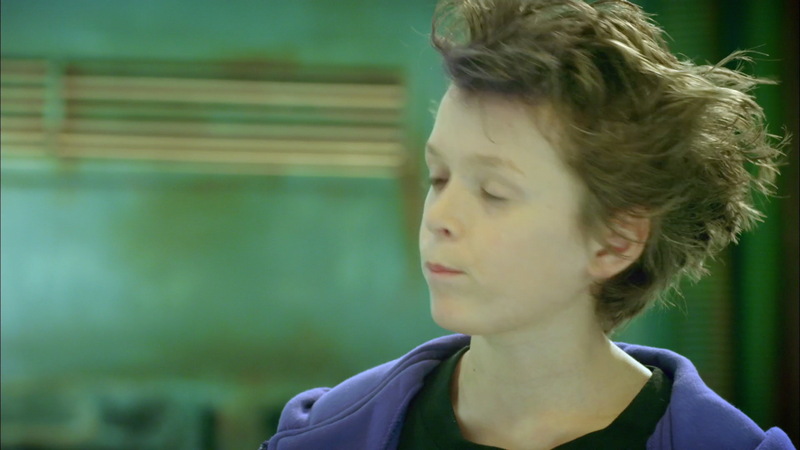 Aelita: And voilà, the serious problems begin. Yumi: I'm afraid Laura is dividing us. William's return already wasn't too easy. Yumi: Odd annoys me by taking so many risks when driving. We have a virus to plant, THAT'S our top priority. Ulrich: I think we're still very far from understanding everything that's behind the Cortex.